ManorCare Health Services - Hyattsville, named for the Maryland town, is a for-profit corporation with 160 certified beds. Its services include post-hospital care, rehabilitation, memory care, IV care, independent and assisted living, and hospice. This is a very average nursing home if you look at the Medicare statistics. Our nursing home lawyer think an average nursing home in Maryland is a poor nursing home. Quality measures - and many of its stats in this category were exceptional. In the health inspection tied to its last standard Medicare survey (in April, 2016), ManorCare - Hyattsville's total of 12 deficiencies placed it just above the Maryland average of 11.5 deficiencies. This facility had 3 deficiencies for quality of care, but none for mistreatment. 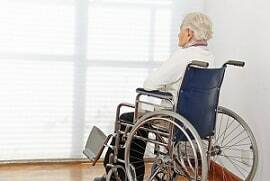 Just one month before its standard inspection, however, this ManorCare facility had a complaint inspection, in which Medicare surveyors looked into five separate issues. The issues in the inspection on March 2016, appeared to represent five different cases of staffers making inadvertent mistakes in handling residents' care, such as not ensuring that a resident kept a scheduled appointment with a hearing specialist, or not continuing to maintain the same diet plan for a resident who had been transferred to hospice. In a nursing home, little things make a difference. Staffers failed to get a doctor-ordered urine specimen from a resident with a urinary tract infection, thus delaying treatment as the infection worsened. They say they did in fact try to get the specimen, but the resident was uncooperative and the sample they got seemed tainted, so they chucked it - then failed to get another one. Do you believe them? It is really hard to know where the truth lies. Certainly, the number of errors makes you suspicious. In another complaint inspection, in May 2016, the facility was faulted in two cases for not making a full and complete accounting in handling petty sums of residents' money. In six cases involving deceased or discharged residents, the facility failed to make final accounting of the residents' personal funds within 30 days. The more residents a facility has, the more details it has to track - in terms of med schedules, dietary restrictions, money issues, and so on. In our reckoning, a bigger facility is more prone to error than a small one. Its total of 134 residents at last count makes this facility a bit larger than the Maryland average (107.4 residents on average) and quite a bit larger than the U.S. average (86.1 residents). This is why you need the staffing to support the number of residents you have. This ManorCare facility got a 3-star average rating for nurse staffing, which is odd, considering that residents here got more than the daily average amount of time with RNs - the lead caregivers - and the facility got a 4-star rating for RNs in particular. Residents here also got more than the average time per day with LPNs and LVNs (licensed practical nurses, licensed vocational nurses). They got less-than-average time with certified nursing assistants but about the usual six minutes a day (the Maryland average) with physical therapists. The total amount of time each resident saw one nursing staffer or another also exceeded the Maryland and U.S. averages. This nursing home should get some credit for this. ManorCare - Hyattsville got the coveted 5-star rating for quality measures, by which Medicare gives a statistical picture of the types and amounts of care residents receive. The usual pattern is for a facility to have better stats for its short-stay residents than its long-stayers (who are more apt to have ongoing health issues). It was the other way around at this facility, which has done extremely well by its long-stay residents. The short-stay residents at this facility had almost no trouble with pressure ulcers - only 0.2 percent of them so affected (one-sixth the state and national averages). The Maryland statewide nursing home average number of residents who report having significant pain is 13.8 percent; the national average is 16.4 percent. At this ManorCare facility, the percentage was 1.3 percent: these residents were nearly pain-free. But this facility also had negative stats in four categories pertaining to short-stay residents. Most notably, residents here were only about two-thirds as likely as the state and U.S. averages to experience improved functionality during their stays. However, that stat is flawed because Medicare doesn't measure how many residents needed to improve their functionality in the first place. If the stats for its short-stay residents were somewhat mixed, ManorCare - Hyattsville more than made up with it regarding its long-stay residents. Although it didn't beat the state and U.S. averages every time, it did so - by a lot - in eight of the 15 measured categories. A slight 0.2 percent of the long-term residents here had had a bad fall, resulting in injury. The state and national averages were about 15 times higher. None of the long-term residents here had urinary tract infections. A mere 0.8 percent of them reported having serious pain; the U.S. average is almost ten times higher. The rate of depression here was a minimal 0.3 percent (the Maryland average was 15 times higher, the U.S. average even worse); and residents here were less than half as likely as average to need antianxiety or antipsychotic meds. Every long-stay resident here got a pneumonia shot, and not a single one of them was subjected to physical restraints. ManorCare Health Services - Adelphi: Owned by the same organization as ManorCare - Hyattsville, this facility in nearby Adelphi does not compare well with its sister facility. ManorCare - Adelphi did match the Hyattsville facility's 5-star rating for quality measures, but its overall rating of 2 stars (versus four stars for the other) and 1 star for its health inspection (versus three stars) place it in a lower tier. Althea Woodland Nursing Home: This Silver Spring facility shows poorly against ManorCare - Hyattsville: 2 stars to 4 stars, overall, and two stars to 5 stars for Medicare quality measures. It got 1 star for the health inspection, versus the ManorCare facility's 3-star rating in that category. Sligo Creek Center: Located very close by in Takoma Park, this facility can't compete with ManorCare Hyattsville - at least not in terms of the Medicare ratings. All four of Sligo Creek's main ratings are below those of ManorCare, including its overall 1-star rating in contrast to the ManorCare facility's four stars. Sacred Heart Home Inc.: Sacred Heart Home and this ManorCare facility both are located in Hyattsville, about a mile apart. Both facilities earned Medicare ratings of which to be proud, but Sacred Heart was the better, with a 5-star overall rating versus the four stars for ManorCare. ManorCare Hyattsville: This family-run facility in Adelphi got even better Medicare ratings than Sacred Heart Home: three of its four scores were five stars. ManorCare edged Hillhaven on quality measures (5 stars to 4 stars) but Hillhaven won, five stars to 4 stars, on the overall Medicare rating. Crescent Cities Center: Among ManorCare - Hyattsville's nearby competitors, Crescent Cities comes close to being a match in terms of the Medicare scores. This Riverdale facility and the ManorCare home are very close to even. St. Thomas More Medical Complex: This facility has been acquired and renamed NMS Healthcare - Hyattsville (where it is located). Its main Medicare scores are very close to those of Crescent Cities, and thus similarly close to those of ManorCare - Hyattsville. NMS Healthcare of Springbrook, LLC: Located in Silver Spring, this NMS facility has main Medicare scores almost identical to those of ManorCare - Adelphi (see above), including a sub-par overall 2-star rating and (somehow) a top 5-star rating for quality measures. Like ManorCare - Adelphi, this facility is second-tier compared with ManorCare - Hyattsville. Has a ManorCare nursing home made an error that ended in a completely unnecessary tragedy? We can help navigate Prince George's legal system, give you your legal options. We fight for justice and compensation for you. We have a track record of success. Our justice system and a Prince George's County jury will hold a nursing home accountable if the facility does not make an out-of-court settlement offer that justice demands. Call our nursing home lawyers at Miller & Zois today at 800-553-8082 or get a FREE no obligation case review. Get an inside look at every Maryland nursing home. Look at nursing home lawsuits filed in Maryland in 2016. You will see 5-star nursing homes as the defendants in elder negligence. But what you mostly see is a lot of very poorly rated nursing homes getting sued. Learn about nursing home UTI and bedsore cases. These are two of the most common lawsuits against Maryland nursing homes. Call our nursing home attorneys todayat 1.800.553.8082 or get a FREE confidential and online case evaluation. Our caring elder care lawyers will dig through your options and help you chart the path to maximizing the trial or settlement value of your case.